Ever wonder how certain businesses seem to stay "in the know" or how they consistently turn out products that are ahead of their time or are released at exactly the right time? Have you ever questioned how one company can turn out hundreds of different products every year? How do they come up with these ideas? Who's responsible? How does everyone stay motivated? How do so many companies and brands consistently release innovative products and ideas? 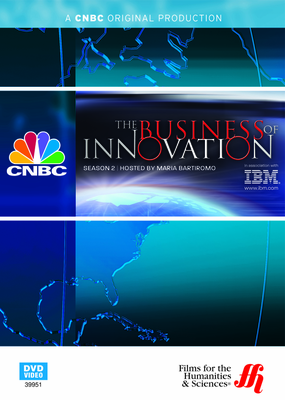 All these and more questions are answered in this CNBC documentary which explores the world of innovation and the techniques by which companies stay innovative and therefore relevant. In today's constantly involving world companies and brands are being forced to come up with new and innovative ideas and products. Those that cannot accomplish this fade from relevancy and simply become a landmark of the past. In this documentary CNBC explores innovation and how companies keep their employees motivated and innovative. Hear from the CEO of Sirius Satellite Radio, Mel Karmazin,learn techniques from Antonio Perez, the CEO and chairman of Kodak, and even see an interview with former Prime Minister of Finland;Esko Aho.